The City of Las Cruces Museums offer tours to school and extra-curricular groups of all types. These tours enrich your classroom experiences. The museums are a place to foster critical thinking, observation, and evaluation skills in an active environment. By bringing your students to the museums, you afford them access to: live animals;historic buildings; paleontological and prehistoric objects; fine art; local heritage; archival material; diverse cultural practices; and hands-on activities to galvanize the visit. Independent observation and reflection, small group discussion, and experiential learning are core features of the museum visit. These skills carry over into the classroom and help cultivate life-long learning. 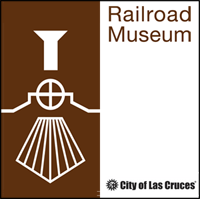 Railroad Museum: Located in a 1910 historic Santa Fe Railroad depot, the Las Cruces Railroad Museum interprets the railroad history of Las Cruces and the impact of the railroad on Southern New Mexico. Hands-on learning experiences include scavenger hunts, operation of a telegraph key, and the opportunity to see modern trains and learn their importance in our society. Operation of model trains in different scales allows visitors of all ages to experience the joy of playing. An optional safety presentation is also available if time permits. 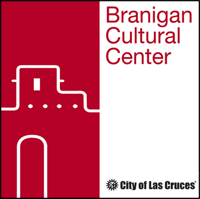 Branigan Cultural Center: The Branigan Cultural Center hosts a permanent local history exhibit and changing exhibits with cultural, historical or artistic themes. Along with our permanent hands-on history trunk, the BCC features gallery challenges and activities with each exhibit. Short, historically significant craft demonstrations are available upon request. 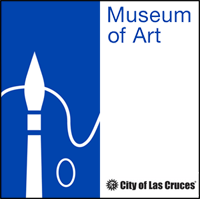 Museum of Art: The Las Cruces Museum of Art hosts changing contemporary art exhibits, including national, international, juried, traveling, and invitational exhibits. Typically six exhibitions per year are presented, all with plenty of dynamic art to engage all age levels and disciplines. Hands-on activities to complement the gallery experience are available upon request and may include a variety of art activities that are both fun and accomplished within time constraints. 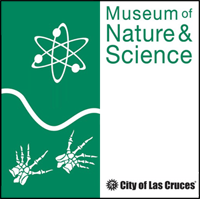 Museum of Nature & Science: The Las Cruces Museum of Nature and Science interprets the ecosystem and natural history of the Chihuahuan Desert, the Paleozoic Trackways found just outside Las Cruces, and the history of space research in southern New Mexico. Hands-on learning experiences include the Magic Planet interactive globe (where visitors can learn about the Solar System), and touchable fossils from the Prehistoric Trackways in the Robledo Mountains. The museum is also home to a collection of living reptiles, amphibians, and fish native to the Chihuahuan Desert, and offer a glimpse into the lives of these local creatures. We recommend that a tour be scheduled for a minimum of 30-45 minutes at each location. If tours are divided into smaller groups visiting the museums simultaneously, please schedule sufficient time to visit each facility. Occasionally, shorter visits can be accommodated, but planning for 30-45 minutes allows us to provide a quality experience to your group, with plenty of time for careful examination of the exhibits, as well as personal reflection. The museums can address specific curricular standards upon request and are happy to provide an overview of the kinds of benchmarks best met in our exhibits. Call the Curators of Education for further information or to begin developing a custom tour. If you have concerns about scheduling, funding, or pre- and post- visit curricula, don’t hesitate to contact us. Our goal is to serve as a resource for our local community, and we will work with you to ensure that your visit is a success.